Bullet proof coffee, green juice, Bikram yoga, intermittent fasting, cold showers, superfoods, shroom coffee, WIN THE MORNING! And let’s talk productivity: Pomodoro, bullet journals, eating the big frogs, wait, what? Either way — you name it, whatever “life hack” is coming down the pike, you’re onto it. Yet we’re missing something here. There’s a missing piece that few are discussing in the human optimization movement that is imperative to call your attention to because it’s driving your behavior, your fears, your motivations and everything in between whether you realize it or not. It’s what Dan Siegel calls your 8th sense. Dan Siegel, trained as a psychiatrist, developed a new field called “interpersonal neurobiology” that has deeply influenced my life and my work. He’s written extensively about integration as the path toward harmony, inner and world peace, and healing. He writes and speaks about how many of us are living a bit of a lie in that we have these identities that stop when our skin stops, when in reality, our MIND really does have another component that we don’t think about: our inter-relatedness. He claims the notion of the “self” as separate and disconnected from everyone else is a toxic lie. And having worked with many couples and individuals over the years, who have struggled with just about every mental health issue you can think of (barring a few specific phobias) and have had their share of relationship traumas and difficulties which are too many to count, I completely agree with him. Then I look around and see innovators and entrepreneurs seemingly “winning” at life and crumbling inside – I hesitate to speculate but I think of recent suicides of beacons such as Kate Spade and Anthony Bourdain – and I can’t help but think of this disconnection and dis-integration as the most lethal force we are contending with. I won’t even start about the tides that I’d love to see turned when it comes to our environment, world peace, basic human rights, etc. etc., and how this concept of inter-relatedness is a huge component of the cure. Our relationships are part of who we are. “I wish things were more simple, like back in my grandfather’s day,” a man recently told me on the phone. Real food, real quality time, real connection — nothing to plug into but “hard work” and each other. What else can you plug into? Self-improvement and peak performance experts will tell you to “win the morning” and really focus on your intentions, yourself, in order to be a fully optimized human — and I’m all for that — but in this self-awareness frenzy and our attempts to inch closer and closer to total human optimization, let’s not forget this huge part of that “self” — your 8th sense — your inter-relatedness. Privilege it, honor your relationships, and you’ll be that much closer to your desired total human optimization. If you feel like you’re on an island as many folks striving for “excellence” and human optimization do, grow those relationships. Find your people, I promise, they are out there waiting for you. It can be hard to get started, but it’s worth as many tries as it takes. 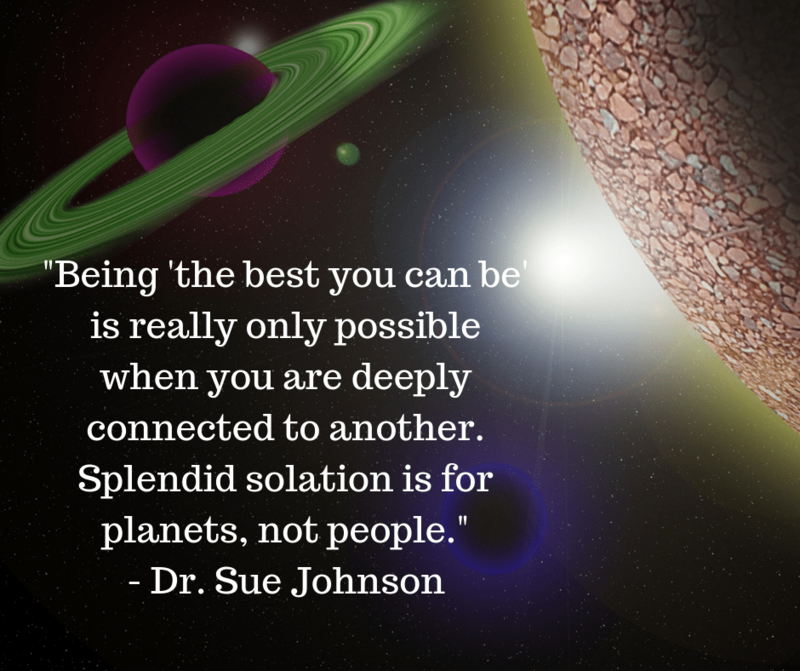 There is so much magic in that inter-relatedness that few of us tap into to nearly the extent that we could (myself included), but with that awareness comes even greater potential. I’d love to hear how things are on the other side of it. Please let me know in the comments? P.S. I have a group online that is all about creating our best relationships — with ourselves, with others in our lives, with each other … I’d love to tell you more about it if you’re feeling like a bit of an island, a bit misunderstood, perhaps cut from a different cloth (white cotton gets so boring anyway), and don’t know where to begin when it comes to sharpening and strengthening that 8th sense. Read more about that group here, we’d love to support you as you do your magnificent work in the world, while deepening your connections.